The hacker setup a whole bunch of malicious servers. 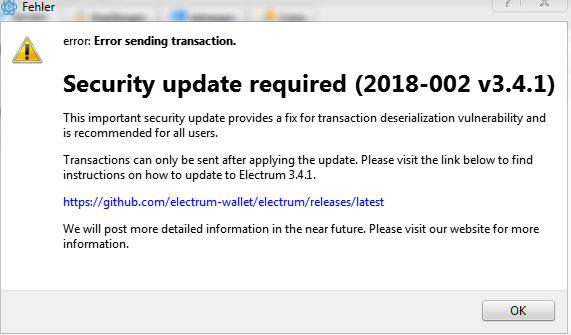 If someone’s Electrum Wallet connected to one of those servers, and tried to send a BTC transaction, they would see an official-looking message telling them to update their Electrum Wallet, along with a scam URL. The hacker has already stolen 200 BTC (nearly $800,000), at this one address (he has multiple receiving addresses). UPDATE: Now I’m being quoted in news articles. ADVICE: Ignore any “update” notifications in Electrum. I’m not 100% certain, but if you never downloaded the “update”, your wallet & funds should be ok. As for usage, I’d personally avoid using Electrum wallet for a few days, until the devs figure everything out (the vulnerability hasn’t been fully plugged yet).